Marcus Opellius Severus Macrinus Augustus was Roman Emperor from April 217 to 8 June 218. He was appointed Praetorian Prefect by Caracalla, after having served for decades as a skilled lawyer and bureaucrat. 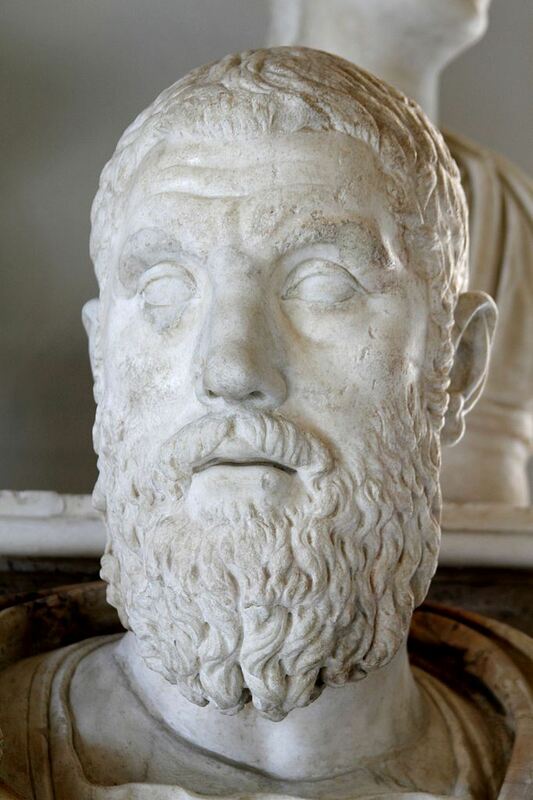 When it was prophesied that he would depose and succeed the emperor, Macrinus - fearing for his safety - resolved to have Caracalla murdered before he was condemned. In the spring of 217, Caracalla was in the eastern provinces. On April 8, while traveling to visit a temple, Caracalla was stabbed to death by a soldier whom Macrinus had recruited to commit the murder. However, Macrinus' economic reforms quickly angered the legions, and by June he was overthrown by a rebellion supporting Elagabalus.